Spring water is extracted directly from the underground source using Neverfail’s state-of-the-art equipment and techniques. The extracted spring water is pumped into a stainless steel, food-grade tanker at the source and transported to a Neverfail bottling site. Each delivery of spring water is tested for chemical, physical, and microbiological quality to ensure purity. Once cleared, the spring water is stored in stainless steel, food-grade holding tanks prior to bottling. Our spring water goes through a treatment process, including micro-filtration and ozonation prior to bottling. Neverfail’s reusable polycarbonate bottles are inspected for condition, odour, colour, and foreign matter. Any sub-standard bottles are rejected. The cleared bottles undergo an internal and external cycle of “hot wash – rinse – sanitise – rinse” before being filled with spring water, capped, and batch coded automatically. The bottled spring water is then quarantined for a minimum of 48 hours and only released once all stringent quality control tests have been completed. Once cleared, the bottles of Gold Coast Spring Water are loaded onto our Neverfail trucks for immediate delivery to our customers via our network of 150 local distributors across Australia. As a founding member of ABWI (Australasian Bottled Water Institute), we ensure that Neverfail Spring Water complies with the strictest quality standards for bottled water. The ABWI Model Code and Plant Inspection Program aims to assist bottlers and source owners in achieving a quality product by providing technical direction and quality standards for bottled water production. ABWI operates a mandatory Plant Inspection Program involving annual, independent third-party audits for members against the Model Code criteria. The requirements of the Model Code complement those of mandatory food law as specified in the Australia New Zealand Food Standards Code. 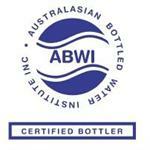 This program is supported by the authorised use of a registered logo that may be used by ABWI Certified Bottlers only. While all Certified Bottlers are required to achieve a pass mark of 70% or higher for the Plant Inspection Program, special recognition is given to those who achieve higher scores. Bottlers who achieve a score of 95% or above achieve the highest Standard of Excellence. Neverfail Spring water is proud to have achieved the ABWI Standard of Excellence at each of its bottling sites across Australia six years in a row (2003-2008). In addition to ABWI quality certification, Neverfail’s bottling plants and quality systems are also independently audited against Hazard Analysis Critical Control Points (HACCP) and Coca-Cola Quality System (TCCCQS – Evolution 3) standards.